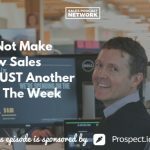 TSE 975: TSE Certified Sales Program - What Is It? 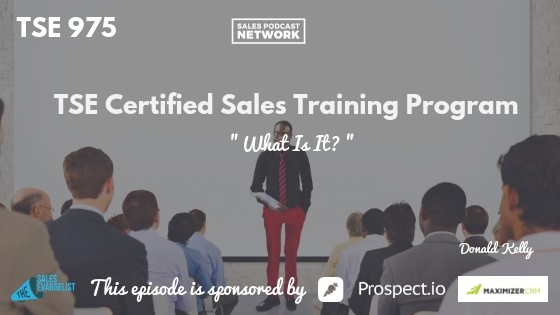 Home » TSE Podcast Post Page » TSE 975: TSE Certified Sales Program – What Is It? On today’s episode of The Sales Evangelist, I am introducing our new program – the TSE Certified Sales Program. If you are a sales leader in a company – this program is for you. If you are an executive or business owner of a small firm and your sales reps don’t have a process – this program is for you. This program is also for you if you are a sales rep and you feel like you are spinning your wheels. Daydream with me for a minute …. remember that first day in the office? When you were super excited to start your new role as a sales rep? When you imagined playing golf with the clients, closing deals, making money…. Remember when reality set in? Sales is difficult. Cold calling is annoying. Talking to executives is cumbersome. And without a process in place to help you become successful, you won’t be. You need a process to help you really understand what your clients need before you will see results. The TSE Certified Sales Program is that process. I’ve sold in the medical industry, in the tech industry, to city governments, and to consumers. I’ve sold dish networks, timeshare presentations, security systems, and even religion. I was sure I could take my vast B2C experience and translate it right away into the B2B side, but it didn’t work at all. I thought about quitting and going back to school because I had clearly made a mistake. Not making money is one thing – having to borrow money because you aren’t making money is even worse. I feared rejection and I felt unqualified to talk to executives. I didn’t know how to plan my day or how to handle objections. More importantly, I didn’t understand the products I was selling, how to describe my product, or how to create a message that would resonate with my clients. I didn’t know who my ideal clients were. I didn’t know how to use social media or make a cold call. When I had a warm call, I didn’t know what to say. I couldn’t give an effective presentation even if I somehow managed to schedule one. Worse yet, I didn’t know how to ask for a sale or how to upsell. I didn’t know the right questions to ask and I didn’t know how to listen. I didn’t know any of the fundamental things I needed to be successful. Trying to learn it all the hard way was emotionally and financially draining. I eventually enrolled in a sales training course where the basics were broken down into manageable training modules and the difference was drastic. The training created a tremendous increase in my sales performance and now I sell for myself. I sell an opportunity for companies to get past struggles, to find more customers, to have more meaningful conversations with the clients, and to close deals. When I moved into the sales education side of things, I knew a similar training process would serve my students well. As a result, I created the TSE Hustler’s League Program. And after four successful years, we decided it was time for an upgrade. The TSE Certified Sales Rep Program targets new and struggling B2B salespeople working for small to midsize companies, though anyone can benefit from it. We have four different courses that build on one another and create one complete TSE Certified Sales Rep course. You can also choose to become certified in one area at a time. The first course will teach you to overcome your fear of rejection and replace it with the mental stamina and strength for sales. We will give you the basics to plan and structure your day so that you can be more effective in your outreach processes and close more deals. 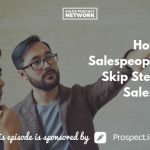 The next module addresses the prospecting side of sales, which is often one of the worst areas for sellers. We understand that it is hard and that it takes a lot of time. We also know that most sellers neglect to do it. To help out, we combined years of experience with the scientific parts of prospecting. We created an easy-to-follow program that will help you find more ideal customers. The third module is about building value: how to have appropriate conversations, how to find business drivers and how to be sure you are collaborating with the right people. Finally, we will teach you how to convert more customers and close more deals. We’ve learned that converting or closing does not have to be as hard as people make it. We will give you the tools you need to effectively convert prospects into paying customers. The TSE Certified Sales Rep Program has been designed so that you can go through the modules, watch the videos and work the PDFs alone, or as part of a small group of 25 people. We know through our experience teaching the TSE Hustler’s League Program that there is a greater benefit to those who participate in the group’s online discussions and role play opportunities; just one hour each week. Additionally, those who take part in the group facilitation will receive a recording of any missed sessions. You also have the option to go through each part of the program with a facilitator and an accountability partner; someone that you report to each week – and who reports to you each week – with regard to the assigned coursework. Each module is offered online at certain times of the year so if you miss it the first time around, you can take it the next time. Upon completion, you’ll earn the TSE Sales Rep Certification. Our goal is not to just give you training but to give you something that is going to change the way you are selling so that you will become the best seller you are capable of being. I still think back and use the fundamentals all the time. I have confidence in myself now and I am making the sales, and the money now. Check out the program, and visit TheSalesEvangelist.com for registration information.